Gender reveal parties are a fun way for the new mom and dad to be to reveal the gender of the baby to family and friends. There are a lot of creative ways to reveal the gender and sometimes even the parents want to be kept in the dark about the gender of their baby until it is revealed to them in some fun way. I love going to gender reveal parties. There have been a ton of fun and creative ways parents to be have revealed the gender of their baby or had someone throw a gender reveal party for them. One of the best ways things I loved about these parties was the gender reveal party games. It kept us all guessing and laughing during the whole party as we tried to predict if the baby was a girl or boy. If you are looking for some fun games for your gender reveal party, try one of these gender reveal party games that keep your guests guessing! A classic spin off the “Don’t Say Baby” game where guest try not to say the word “baby” during the party”. In this type of game though you don’t have to say “boy” or “girl” during the party. To play this game you want to give each guest at the party some sort of thing to wear during the party. If they get caught saying “boy” or “girl” then the guest who is caught must give them their item they are wearing. The guest who has the most at the end of the party is the winner. There is a lot of old wives tales that have been used to predict the gender of the baby. It’s become a fun and creative game played at gender reveal parties. To play this game have the mom-to-be fill out a Wives Tales prediction sheet and post it where all the guests can see. Then asks the guest to see if they agree with the prediction of the wives tales if the baby will be a boy or girl or if they have another prediction. Try this Wives Tales Gender Prediction Free Printable idea from Sweet Simple Living! Most gender reveal parties will have guest to wear pink or blue to what they think the gender will be. You can make it into a game by providing blue bowties or pink ribbon pins to have the guest guess if they think the baby is a boy or girl. Have the guest wear these pins to show what their guess is. This is also a great item to use for Don’t Say “Boy” or “Girl game. 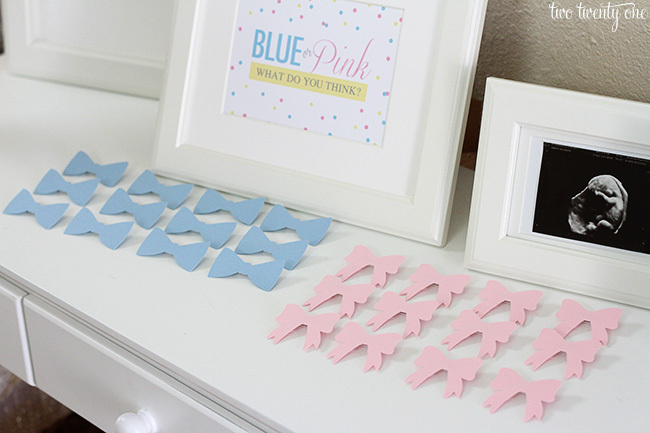 Use these Gender Reveal Party Pins idea from Two Twenty One! Gender reveal parties are hard to think of a gift to bring to the parents to be. If guests want to bring a gift to the new parents, you can help them by sending out Diaper Raffle tickets with your party invitation. Guests who want to bring a gift can bring a package of diapers along with the raffle ticket and have a chance to win a small prize. 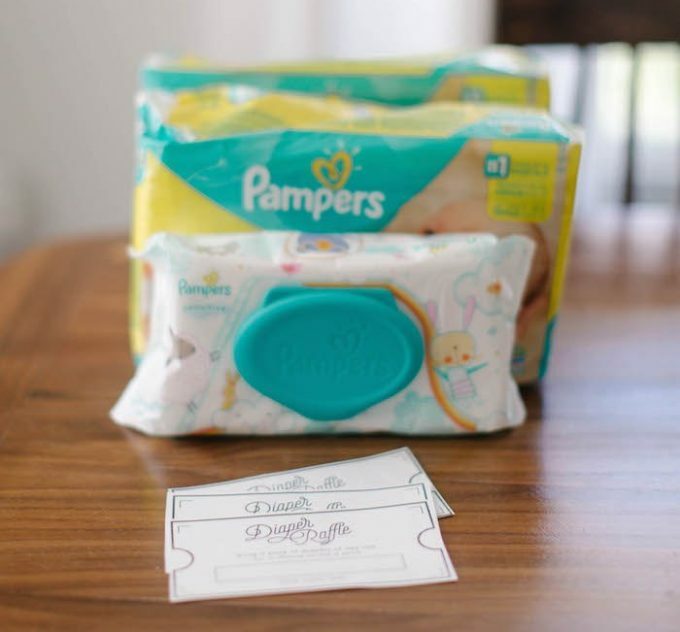 Easy Diaper Raffle Printables from Small Fry! Get the guest racing against the clock as they come up with baby names that begin with each letter of the alphabet. 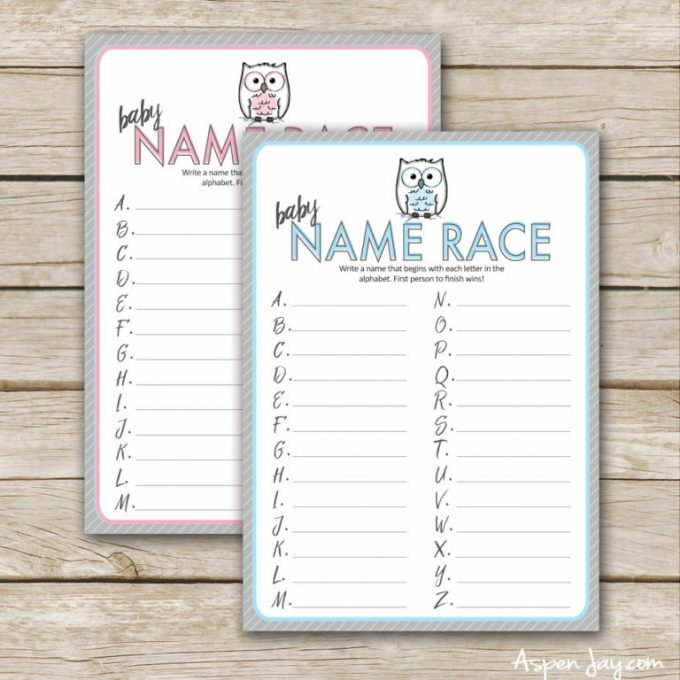 There are two Baby Name Race printables for a boy and girl. Guests can complete both or choose one gender, such as the gender they think the baby will be.